OPAS offers a huge range of decorative studs which are ideal for dressing leather and other textiles. Decorative studs and reflectors are easy to work with and can be set by both hand tools and bench presses. We can quickly deliver these studs from stock in almost any quantity and other finishes can be supplied on request. SALE - All brass & Nickel plated brass decorative studs starting with code no.G-DS are on offer at list less 75% - call 01903 239 955 or request an estimate online. Please note this offer requires a minimum order quantity of 100 pieces with a minimum order value of £25. Subject to VAT and standard carriage. Crystal diamonte decorative stud with nickel plated brass backing piece. 19mm diameter. 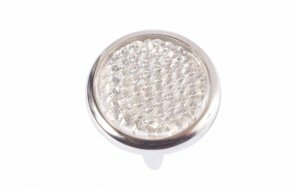 Crystal diamonte decorative stud with nickel plated brass backing piece. 27mm diameter. 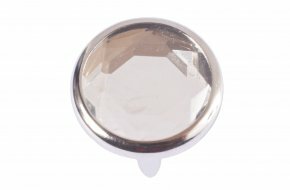 Crystal reflector decorative stud with nickel plated brass backing piece. 19mm diameter. 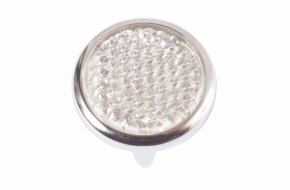 Crystal reflector decorative stud with nickel plated brass backing piece. 27mm diameter. Green diamonte decorative stud with nickel plated brass backing piece. 19mm diameter. 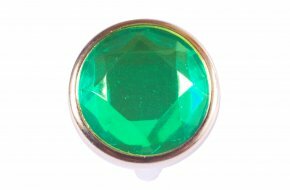 Green diamonte decorative stud with nickel plated brass backing piece. 27mm diameter. 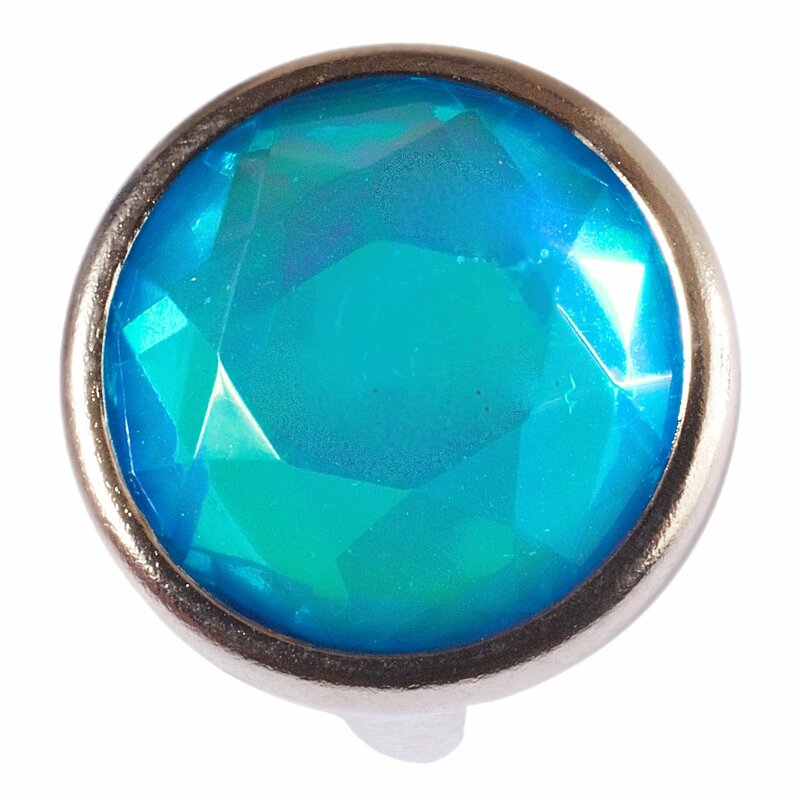 Aqua diamonte decorative stud with nickel plated brass backing piece. 19mm diameter. 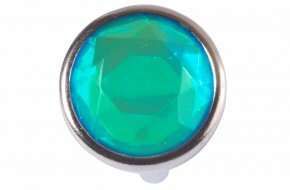 Aqua diamonte decorative stud with nickel plated brass backing piece. 27mm diameter. Amber diamonte decorative stud with nickel plated brass backing piece. 19mm diameter. 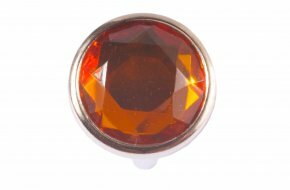 Amber diamonte decorative stud with nickel plated brass backing piece. 27mm diameter. Red diamonte decorative stud with nickel plated brass backing piece. 19mm diameter. Red diamonte decorative stud with nickel plated brass backing piece. 27mm diameter. 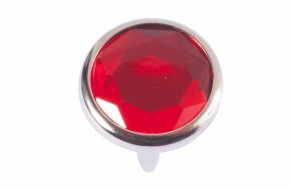 Red reflector decorative stud with nickel plated brass backing piece. 19mm diameter. 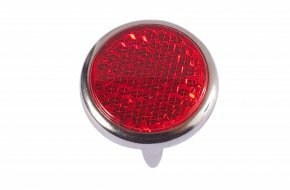 Red reflector decorative stud with nickel plated brass backing piece. 27mm diameter. Blue diamonte decorative stud with nickel plated brass backing piece. 19mm diameter. Blue diamonte decorative stud with nickel plated brass backing piece. 27mm diameter. 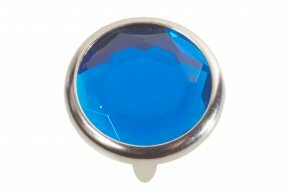 Blue reflector decorative stud with nickel plated brass backing piece. 19mm diameter. 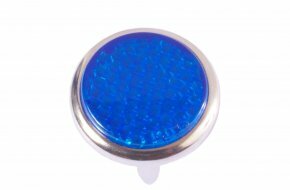 Blue reflector decorative stud with nickel plated brass backing piece. 27mm diameter.